"We’re disappointed of course," says Kate Cholewa, spokesperson for Montana Cannabis Industry Association. Medical Marijuana advocates in Montana are running out of options to delay a state law that could shut down pot shops here in August. In 2004 Montana voters approved legalization of medical marijuana, which led to dozens of dispensaries opening across the state. Seven years later, the state legislature passed a law putting new regulations on how medical marijuana can be grown and sold. In February Montana’s Supreme Court upheld most of that law. Cholewa says its regulations will dismantle Montana’s medical marijuana industry, which currently serves more than 13,000 licensed users. "It means a provider can provide for no more than 3 patients, which right there takes the whole thing down and makes it an impossible endeavor to provide. It would trigger penalties for physicians who write more than 25 referrals. It implements the measures that were passed in 2011 that had the intention to shut the program down, and that is exactly what it will do." The Cannabis Industry Association has been pushing, unsuccessfully, to stop the 2011 law from going into effect. Cholewa says they have one more option to slow the law’s implementation. "Earlier this month we did file for a stay on that decision in district court. In that request, we requested the stay on the Montana Supreme Court's Decision till either the SCOTUS decision, which came today, or the election, whichever is later." The Lewis and Clark County District Court Judge has not yet responded to MTCIA’s request to stay the ruling. Cholewa and the MTCIA want to wait as long as possible before the 2011 law goes into effect, because they’re sponsoring a ballot initiative that could again re-write state policy on marijuana. Initiative I-182 would expand access to medical marijuana, if backers have enough signatures to put it on the ballot, and voters then approve it in November. But Cholewa says even if that happens, the arrival of new regulations in August will leave patients and providers in a lurch between policy. "It looks like we are going to have an unnecessary and cruel gap in this service for the people of Montana." Cholera doesn’t think the U.S. Supreme Court’s denial of the MTCIA’s appeal will influence Montana voters’ support of a medical marijuana program. But Steve Zabawa of SafeMontana says the high court’s denial represents the will of Montana’s lawmakers and voters. Zabawa is the sponsor of a competing ballot issue that would make all drugs illegal under federal law, also illegal under Montana law. That would put an end to medical marijuana providers in Montana. "The Senate and the House and the super-majority voted in favor of restricting medical marijuana, or the Montana Marijuana Act as they call it now, and limiting it. And the [Montana Supreme] Court voted 6-1 in favor of it. So, we are very confident that that is why the [U.S.] Supreme Court did not move forward on it. It has been very clear that the people in Montana do not want pot shops on every corner." Zabawa says he feels good about the U.S. Supreme Court's decision and Montanans’ support of his ballot issue. Both the SafeMontana initiative I-176, and I-182 sponsored by the Montana Cannabis Industry Association are under review by county election officials. They’ll verify whether backers collected the required number of signatures to put them on the ballot this year. Sponsors of both ballot initiatives think they have enough signatures to qualify. If so, voters this November could have the choice to expand or remove access to medical marijuana. Medical marijuana advocates say they’re confident a proposed initiative they support will qualify for November’s ballot. 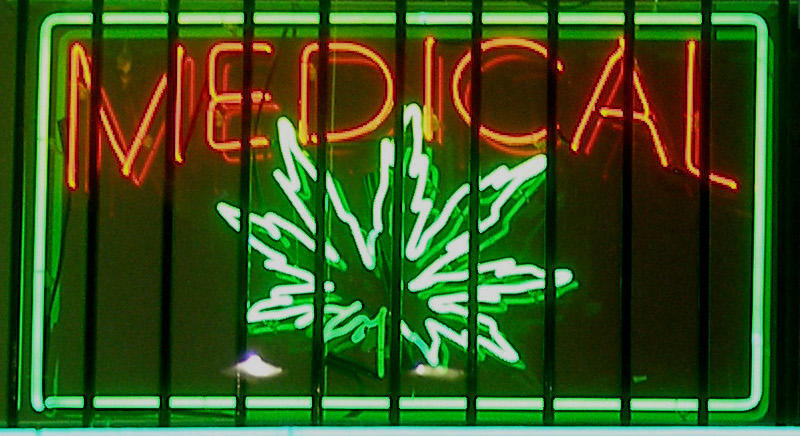 Federal agents have raided one of Montana’s largest medical marijuana dispensaries. Drug Enforcement Administration agents descended on Montana Buds in the Bozeman area on Wednesday morning. A group campaigning to reform Montana’s medical marijuana law is getting a late start in collecting the signatures needed to qualify their initiative for the November ballot. Advocates for medical marijuana in Montana have just over two months to collect more than 24,000 signatures needed to put I-182 on the 2016 ballot. Medical marijuana patients and the businesses that serve them are waiting for the next legal turn after a court filing last Friday.